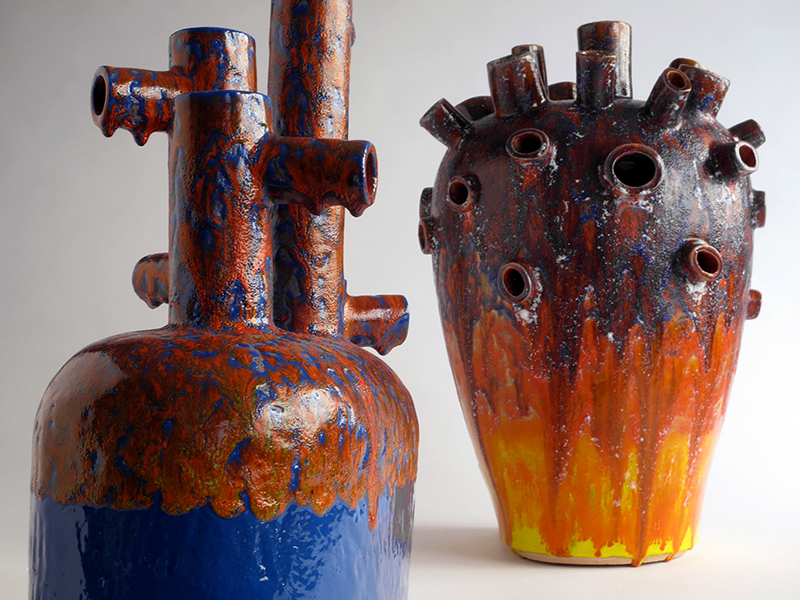 The IDRAULICA series of vessels, especially created for Ceramic Art London 2016 has its roots in a workshop held in Gmunden, in Austria, some ten years ago. From that experience, which went under the general title of Water, the new group of ceramics, Connection, was born. Sometimes, the inspiration and ideas behind a work of art need time to germinate in my mind and in my imagination before they evolve into something new and different. 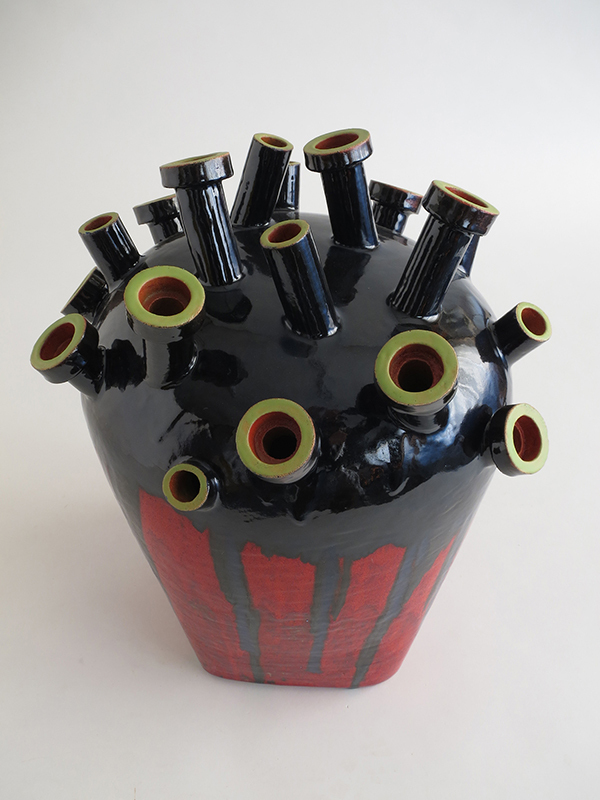 In the case of IDRAULICA, I have grafted pipes and pipe fittings onto capacious round shapes, a process which was new to my practice and which produced surprising results. 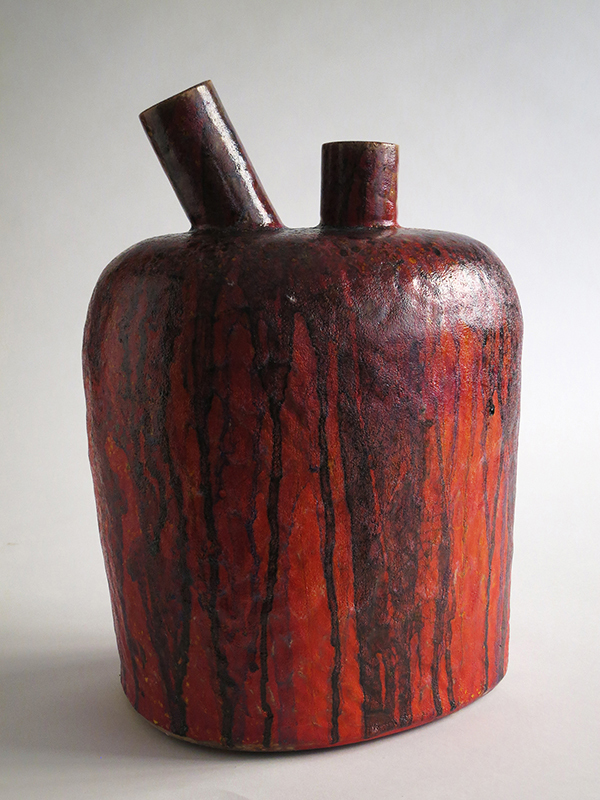 The objects have been cooked in a furnace several times, with successive layers of glaze which create a “skin” that is strikingly colourful, sharp in contrast and with strong tactile effects. Hydraulics is a branch of applied science that deals with liquids. 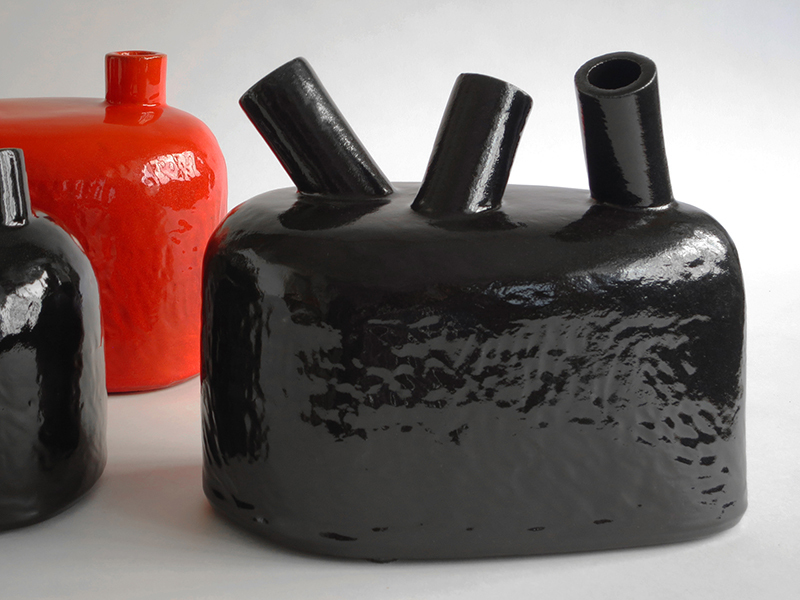 Inspired by the aesthetics of pipes and pipe fittings, Fausto Salvi has created a series of ceramic objects that look like a mixture of futuristic industrial creatures and ancient archaeological discoveries. His imagination has coloured them in an appealing range of tones, each one evoking the warmth of the earth as well as winter memories of summery days.